University of Georgia researcher David Cotten, student Caleb Adams, professor Deepak Mishra, and student Megan Le Corre are working with others at UGA to build two cube satellites into space. Adams holds a 3-D printer model of the CubeSat. There is still a lot we don't know about the effects of climate change on our world. NASA and the Air Force have collaborated to help us learn more. They've called on a special team of students from the University of Georgia for help. 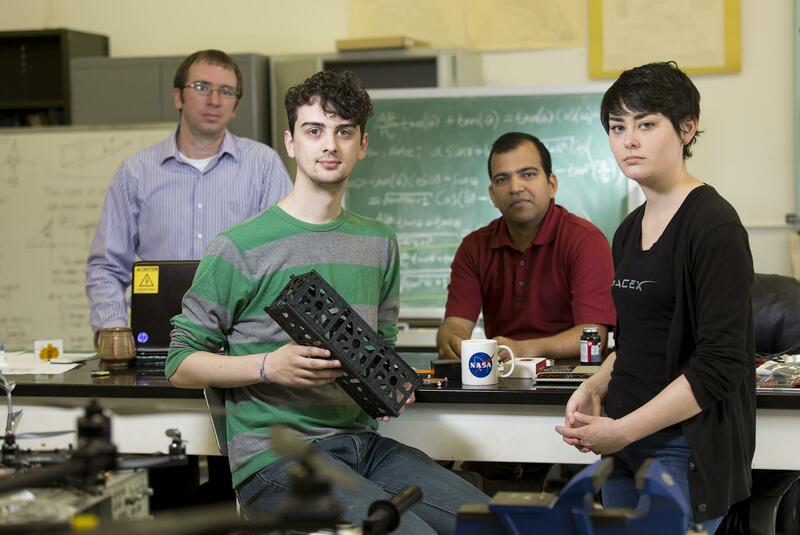 The team will build two small satellites to be launched into space. UGA student Caleb Adams details the project.